The Cartoner AC8 has been specially designed to complete the cartoning process of the MAISA EC12 and EC12/B Packers. 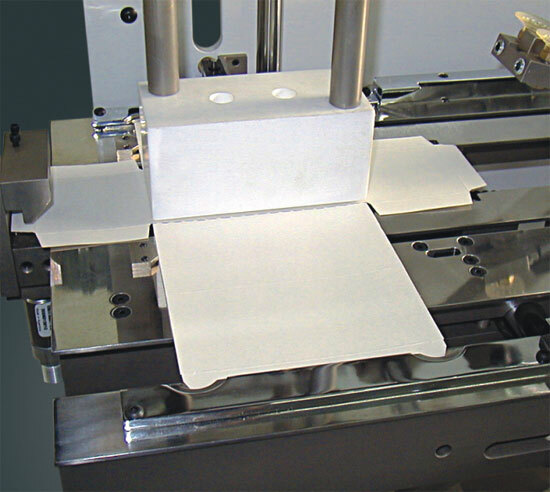 This equipment builds and glues the boxes, starting from a cardboard plate previously printed and cut, locates them on the Packer, and after the filling, recovers them for the final closing. An arm takes a cardboard plate from the magazine and locates it on a table, from where a system conveys it to the forming and glueing zone. Next, a dosifier applies the adhesive and the pusher presses the box for a few seconds, against the former, for a proper drying of the adhesive. The just made box is automatically located on the feed chute of the Packer. 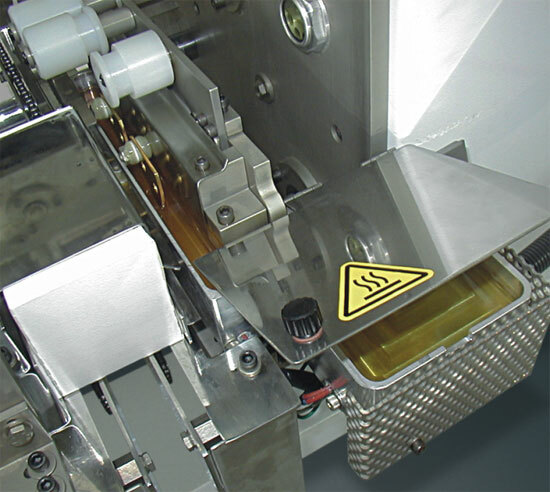 After its filling, the box is withdrawn by the Cartoner AC8 for the final closing, finishing the packing process. The Cartoner AC8 with cover sticking was specially designed to complete the cartoning process of the MAISA Packers. 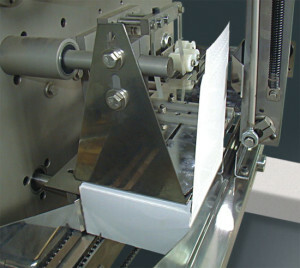 This machine erects and glues with hot melt boxes made from a sheet of pre-printed and notched cardboard, then it delivers the erected open boxes to the Packer and when they are filled the Packer retrieves them back for final closure and cover sticking by the Cartoner AC8 , it can also add and easy open. According to the customer’s request and attending to the needs of the market, MAISA CE line of Packers fulfills the requirements of the rules applied by the European Community. 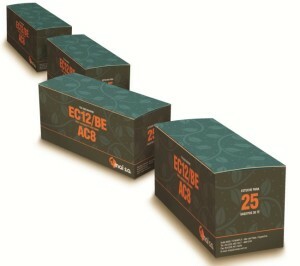 • Cheaper box: the cardboard printing is optimizad and the preforming with glueing of the boxes is avoided. 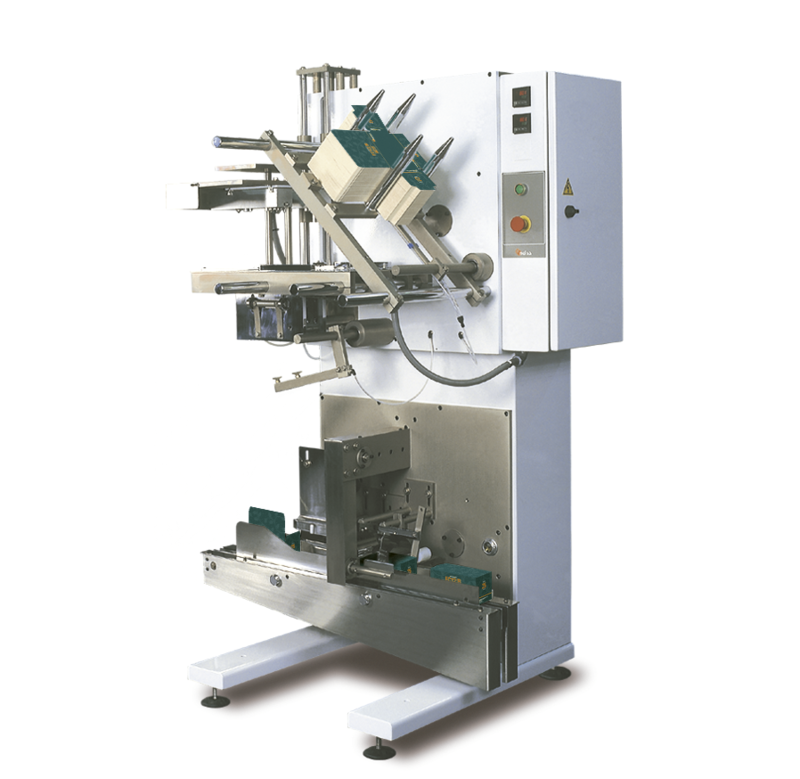 • Cheaper packing: performs the operations which are currently done by hand, diminishing significantly the labour costs. 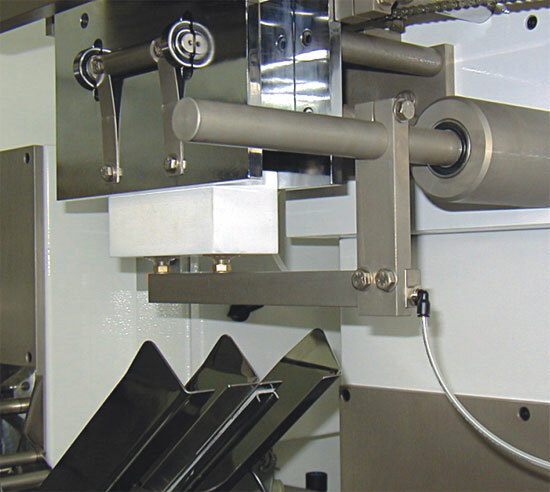 Besides, with the adding of this equipment, one operador can supervise the functioning of up to 4 Packer-Cartoner systems. • A complete mechanical system. • Easy operation, change of formats and adjustment. • Builds great part of the formats required for the MAISA EC12 and EC12/BE. • Very sure manipulating of the cardboard. 20 l/min to 4 BAR. 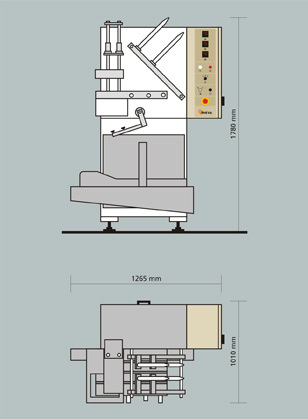 L: 1330 mm x A: 1250 mm x H: 1990 mm.